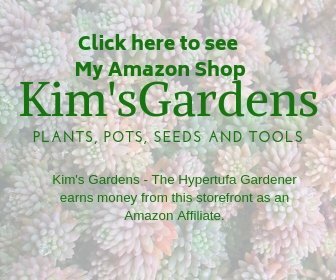 Can you paint hypertufa? 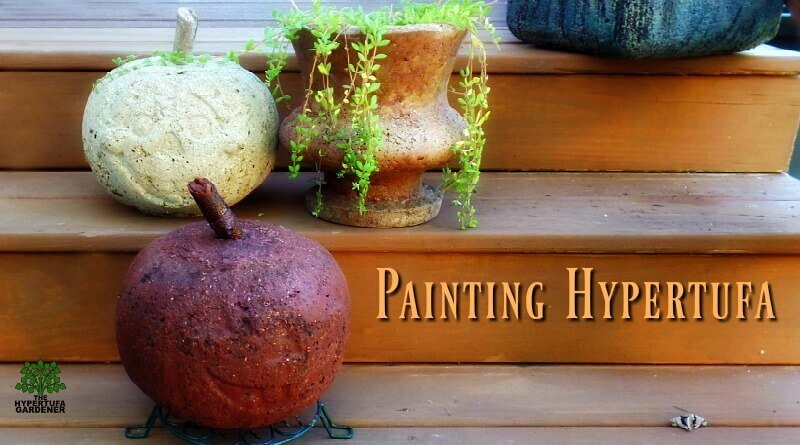 Can you add paint to the recipe mix to color hypertufa? 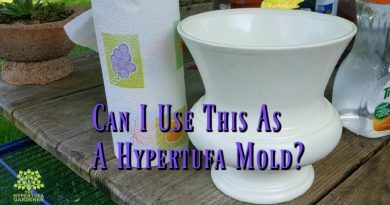 What kind of paint can I use to decorate hypertufa? 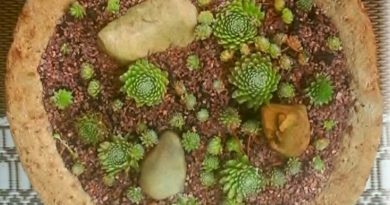 I have had many questions about using paint with hypertufa or painting a hypertufa project, so I thought I would put some information out there from my own experience. Quick answer: Yes! Just go ahead and do it. So many colors and so many options! My first go-to paint is any latex or water-based paint. Remember: Exterior paint if it will be outside. 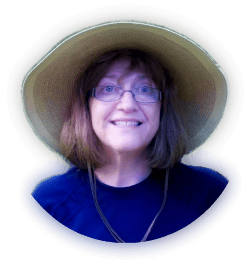 I like easy clean-up and it is so simple to clean all the mess up with my garden hose. But you can use interior latex paint if that’s what you have. I used some leftover Teal paint for a Teal Pumpkin Project to use for Trick or Treat last year. Remember FoodAllergy.org asks us to signal that we have something other than candy treats which may trigger allergies for some kids. 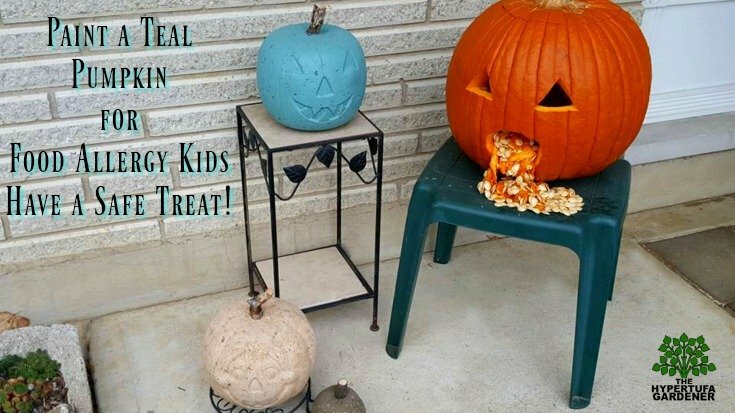 That Teal Pumpkin will let the beggars know you have something for them too! Best thing is that this one will last and last…ready in a moment! I can line my garden bench with some of the plastic that I usually use for lining a hypertufa mold. But this stuff can be put over your table ( such as my $1 plastic tablecloth from the Dollar Store.) 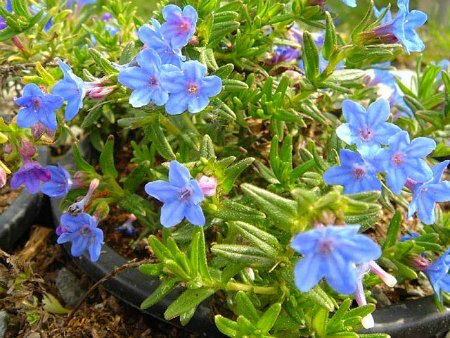 Just spread this out over your potting bench and get that painting done. The best part about this idea is that you can leave the tablecloth there and let it dry while you clean everything up. After the tablecloth is dry, just fold it up and use it the next time. Doesn’t matter if it is covered with different colors. I have used these plastic tablecloths to line a hypertufa mold and had the paint transfer over on to the hypertufa project. It was awesome! 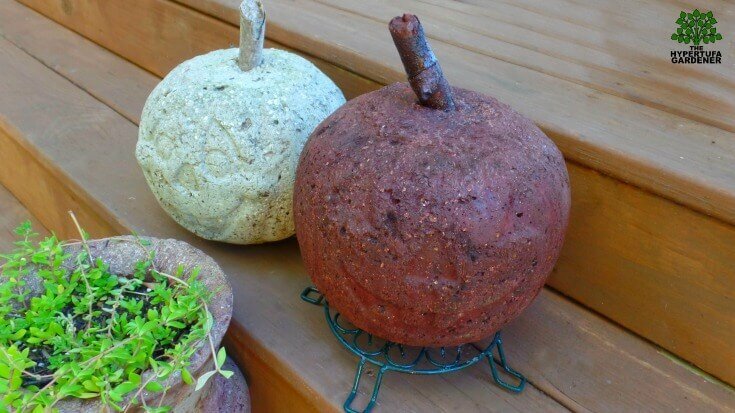 I have a few hypertufa projects that I have used oil-based paints. ( My preference is for Deck Stain which goes on wood, but I think it give a great see-through stain for hypertufa.) Personally, I don’t like the paints labeled for staining cement. They seem to put a mask over the look of the hypertufa and that is not what I like. But your tastes may be different. Especially if you are artistic and can get a nice design, this may be your option. Spray Paint? Works for me! 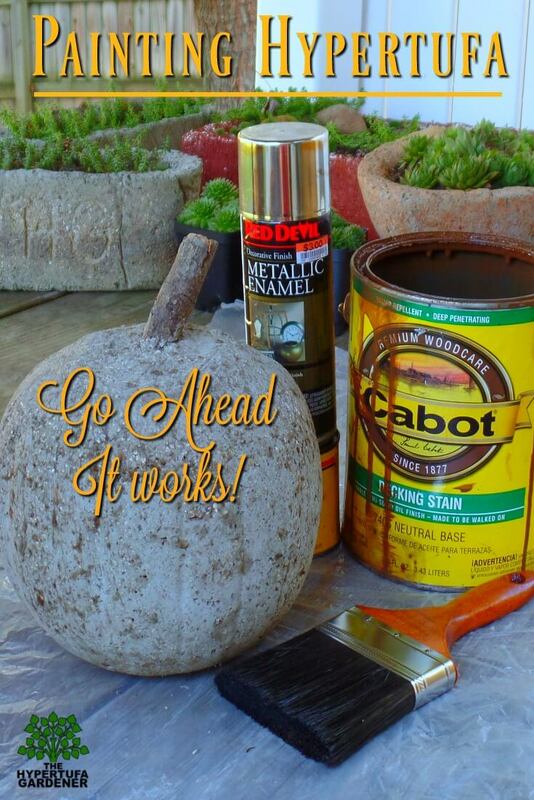 Using a can of spray paint is quick and easy and I have used this a few times. I find this method is best for the Draped Hypertufa projects since they are so intricately shaped and are hard to get into with a brush. 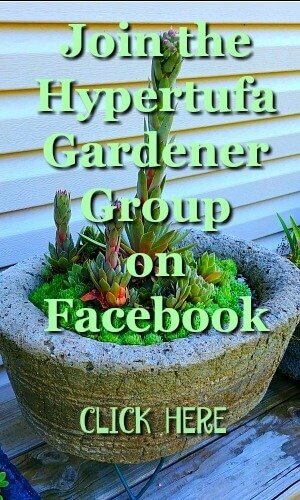 I have seen many examples posted in our Facebook group (The Hypertufa Gardener Group.) Some of those colors using an ombre method are awesome. And so artistic! Ombre is the shading from darker to lighter or lighter to darker. This comes from a French word for “shaded.” Try it! Spray paints come in so many colors that you can do just about anything. Be sure to mask everything around you so you don’t over-spray things….such as a white car in the garage (cough, cough). I like to paint outside on a still and windless day in an area where you won’t hurt surrounding grass or plants. I have a bare area near the shed in the woods to do this. This method is used by some, but I have not had much success. I have used leftover latex paint poured into the water that I am going to mix into the dry hypertufa ingredients. (You MUST remember to include the amount of paint you are adding as part of your water in the recipe.) The problem seems to me that you need so much paint to get any color at all. At least that is what has happened to me when I try it. Remember if you go this method, you’ll have to be sure to use latex or water-based paint. That is a must! So that’s what I can advise based on my experience. You can be as elaborate and expressive as you like. Match your decor, blend with your garden flowers, decorate for gifts with names or dates. You are only limited by your imagination! Treatments other than paints? We’ll cover that in another post. Subscribe to not miss that! ← Cute and Easy Ghosts!